Check your knowledge about fractions by taking this online test consisting of ten problems. This test requires you to add, substract, multiply, and divide fractions for practice and reinforcement of math skills. Interpret and compute quotients of fractions, and solve word problems involving division of fractions by fractions, e.g., by using visual fraction models and equations to represent the problem. 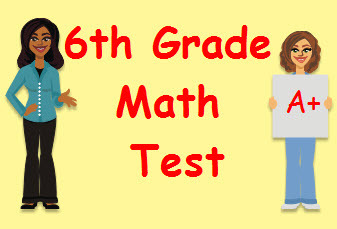 Return from this Fractions Review Math Test to the Middle School Math Tests, 6th Grade Math Tests webpage, or to Math Tests.